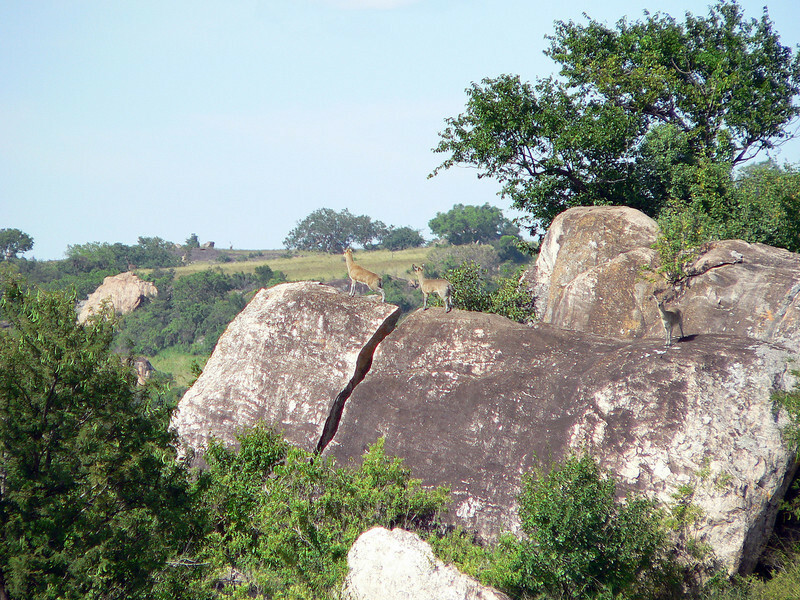 Two Klipspringers (meaning "Rock Jumpers") on alert near the lions. This sure-footed small antelope is confined to rocky hills, gorges and koppies. The Klipspringer's hooves are specially adapted for this type of rugged environment and it can scamper up rock faces that are virtually vertical and leap distances of more than 6 metres from rock to rock.